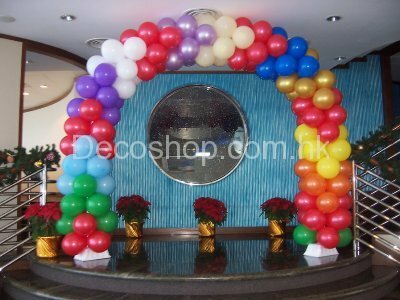 Helium balloons pay important role on balloon decoration. Let point out some of the frequently asked question about that! When balloon blown up, it has volume even it is only gas or air. it floats on the air. As you might know that Helium has much less mass than same volume of normal air. Of course you must include the balloon material, the ribbon all together! Does it fly all the time? 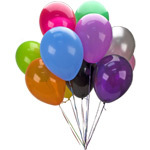 For ordinary latex helium balloon blown to diameter 10 inches, it flies about 8 hours. For the foil helium balloons, it flies 3 days. The bigger one might last couple of weeks. They just don’t fly forever! Balloon filled with Helium will burst just the same way as ordinary air filled balloons! But Helium is noble gas; it won’t burn and explode like Hydrogen. Perfectly safe for decorating balloons. So you might found that only school lab will use Hydrogen to fill balloons for explosion experiments! Sharp points like needles, ceiling nails, finger nails , cutter and scissors burst balloons easily. High temperature lighting would burst them too! Anyway, summer sun unlike burst balloons. Better chance to get burst when the balloon get wet and sun burn the same time! Since helium balloons float in air, you have to manage NOT in let go! You may use balloon weight to let them down to earth. Or tie them up in advance. them up against the ceiling for easy handling! What to do after finished? Latex balloon is pretty sticky after burst. So don’t try to go wild and burst the balloons all around! It takes you time to collect all around but not simply swipe to clean! Grab the ribbon and burst them right above the trash bin. That saves works! All balloons good for helium? You might want to buy some balloons when you hit it in store! But not all balloons work fine with helium. Since the mass is much less, it travels through the balloon material much more easy than normal air! Better quality last longer! 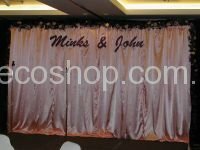 Order a helium bottle or just balloons? As a decorator, I believed that experienced decorator definitely having no trouble! But the tank might looks scary so you may request the balloon blown up before move in! CAN foil helium balloon be reuse? Yes. Foil balloons are quite durable. You can plug in a straw to release the gas inside after use. You are welcome to send us your questions on balloons issues and we are happy to answer question regarding Helium balloons.